As our regular readers know, cold rooms are not the only application for our polyurethane insulation panels. Modular building is another use. In January we shared the news of a special modular housing project that we had been commissioned to supply. Given that the location was the Caribbean, this was going to be no ordinary project! We published photographs showing the very first stages of site clearance, ground preparation and concrete foundation work. In June we shared a further insight into the project’s progress, publishing photographs of a typical shipment that has been going out regularly to supply the project. 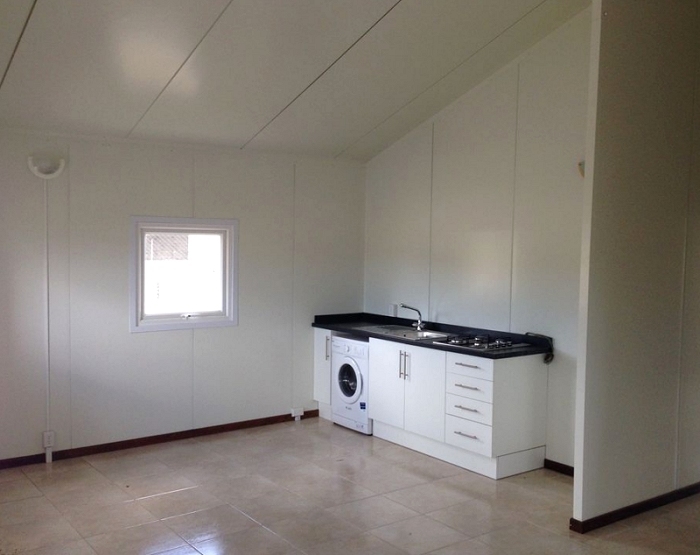 A consignment of sandwich panels had already been shipped separately from our suppliers in Italy and in the UK we needed to prepare and ship out a consignment of doors, window frames and other fixtures which were needed for fitting out the interiors of the modular homes. Now as we approach the end of the year, we are happy to bring a further report on the modular housing project’s progress. 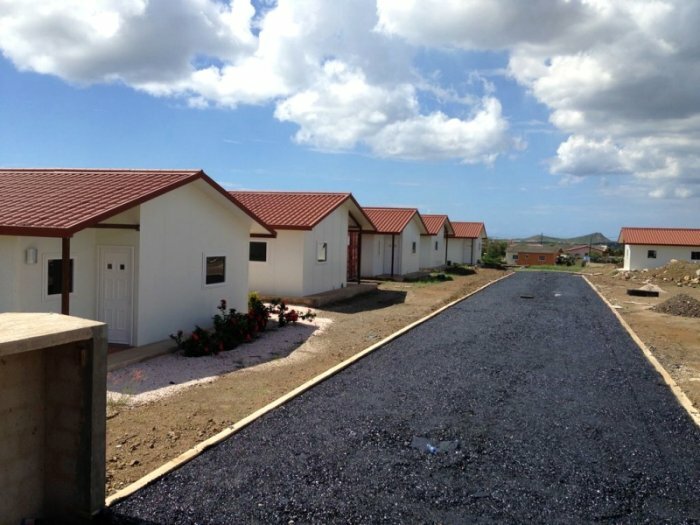 7 of the modular homes are now complete and ready for occupation. 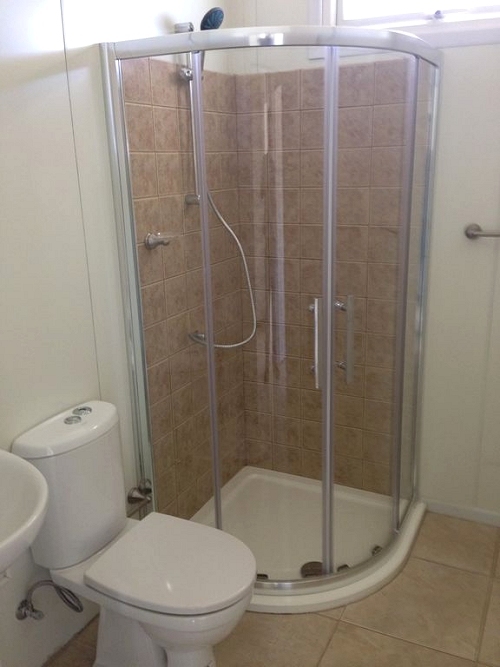 Take a look at a kitchen and shower room as they near completion …. Access through the residential compound had been planned from the outset of the project but its construction had to be timed just right. Here you can see the before and after elements of the hard work that went into building one of the connecting roadways. As this is a residential site it requires suitable security fencing. This is one of the first photographs taken of the fencing just after installation. 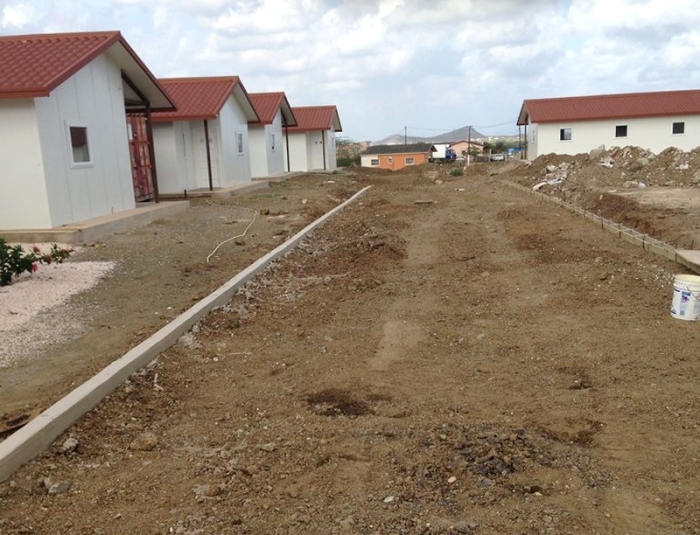 This modular housing project as a whole is now at the halfway stage in its completion. 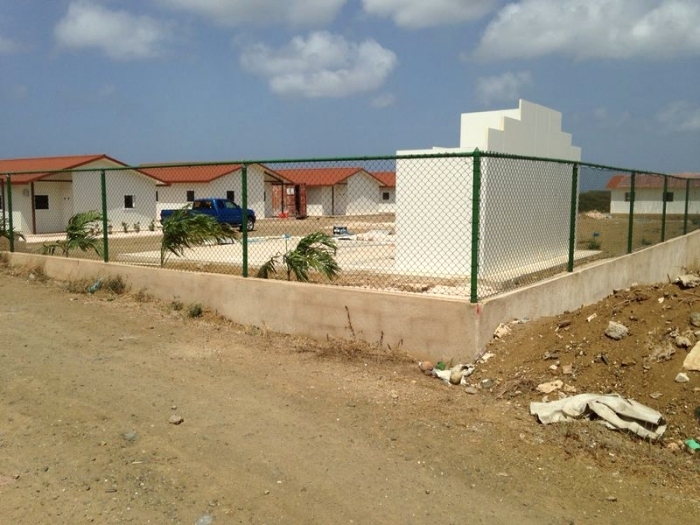 Although there are a further 6 houses to build, we have already received favourable comments and interest from other parts of the Caribbean for more similar housing.